Max Verstappen will begin his second Formula 1 season from a career-high fifth on the grid in Australia, a result which he admitted exceeded expectations. Verstappen was a top 10 contender throughout Saturday's tweaked qualifying session and eventually wound up fifth, narrowly ahead of Williams' Felipe Massa. "It was a good qualifying session, especially after FP3, where I was struggling a bit with the car," he said. "We managed to turn it around and to be P5 – a career best – here in Melbourne is a great achievement by the whole team! "If I’m honest, I’m a bit surprised with the result – I thought Q3 was maybe possible, but to be here in P5 is definitely a better result than we expected." 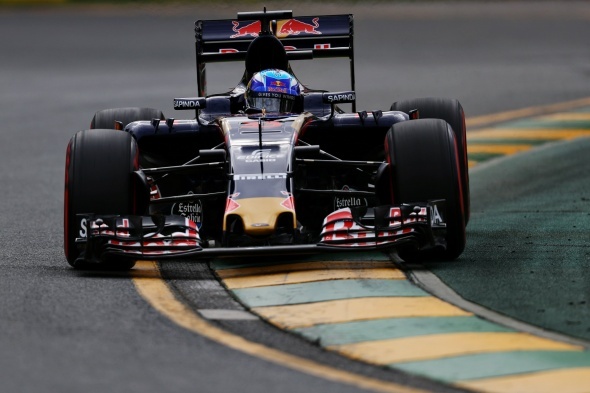 Team-mate Carlos Sainz Jr. will line up from seventh position on the grid. "We can be happy with our first qualifying session of the season – a P5 and a P7 here in Australia is a great result for the team," he said. "I’m pleased with my starting position and even though in Q3 I wasn’t able to repeat a strong lap like I did in Q2, a P7 is a good starting point for tomorrow’s race. "The car feels really good and the hard work we’ve done over the winter is starting to pay off."